It’s hard to juggle your fast-paced life. 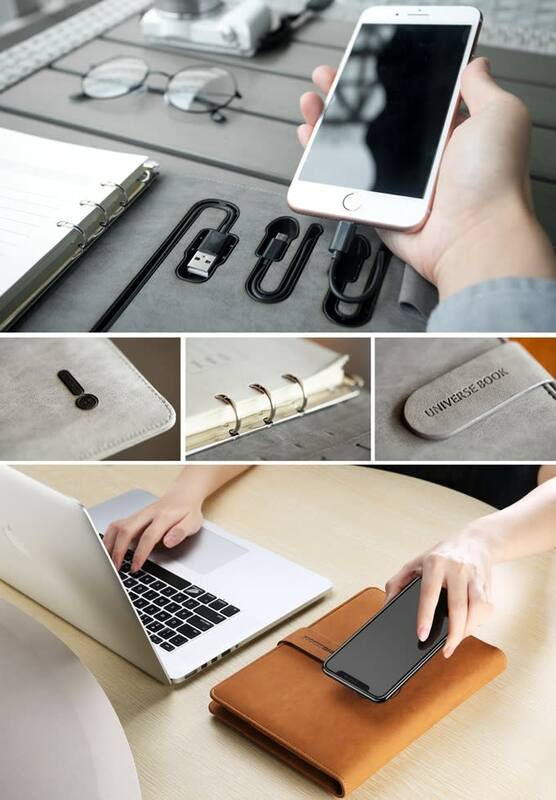 That's why we combined a wireless charger, power bank, and plannerinto a single journal! 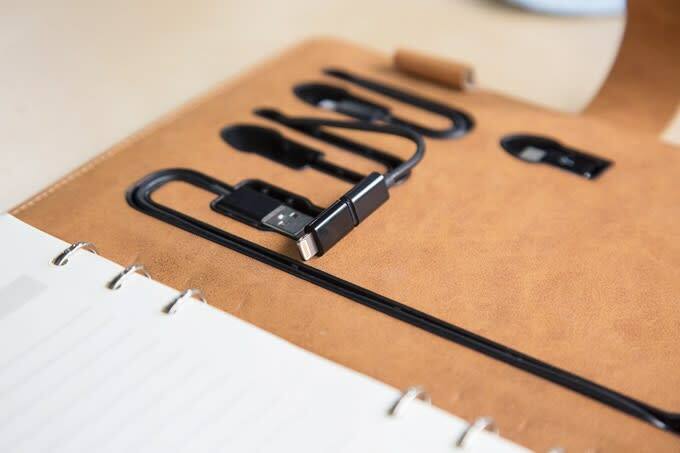 The Tesmo is the world’s most stylish charger especially designed to tailor to all your daily needs. 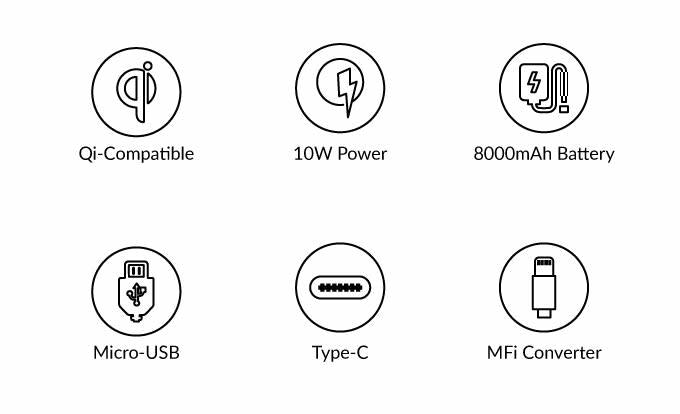 Tesmo is compatible with any Qi capable devices likeiPhone X and Samsung Galaxy S8/S7. 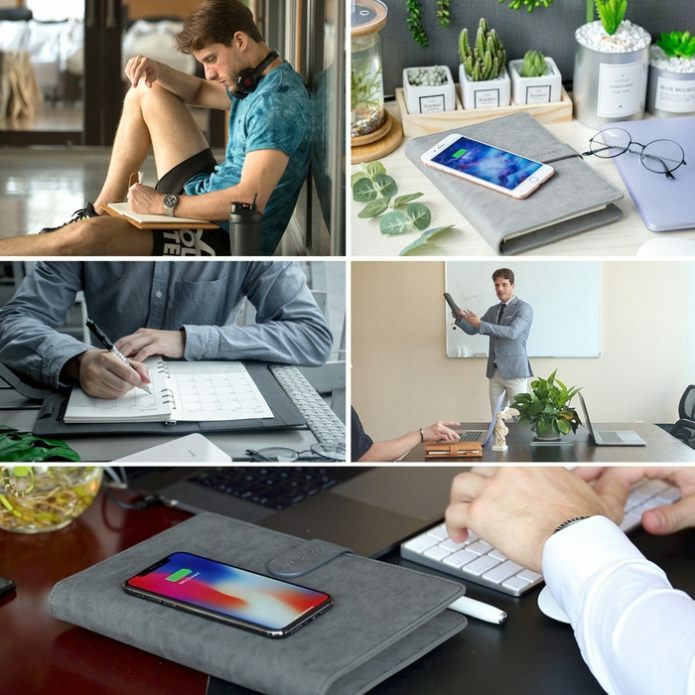 Simply place your phone on Tesmo’s cover and experience the convenience of wireless charging. 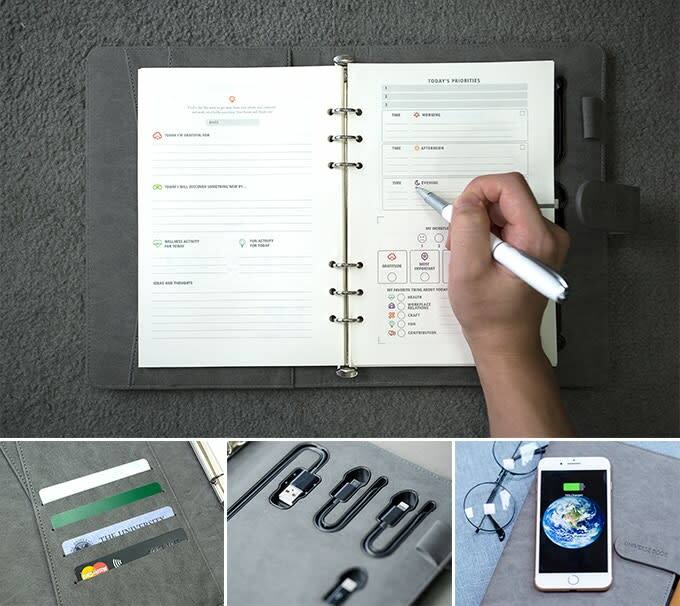 There’re also designated card, pen, and note pocketsto help you be organized wherever you go. 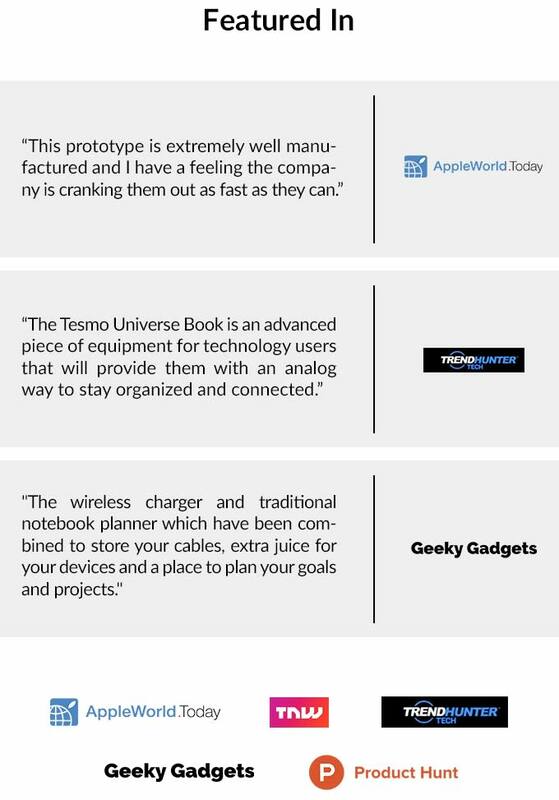 With your active lifestyle, Tesmo has everything you need in a single place. 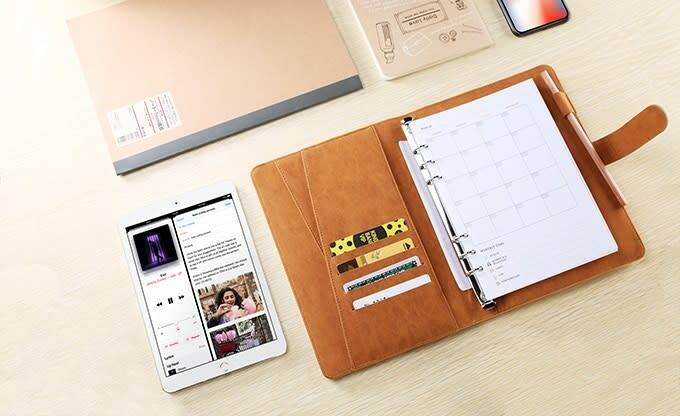 Tesmo’s refillable design allows you to put any A5 sizeinner paper and transform it into a personal notebook, journal, planner, or anything else you want it to be. 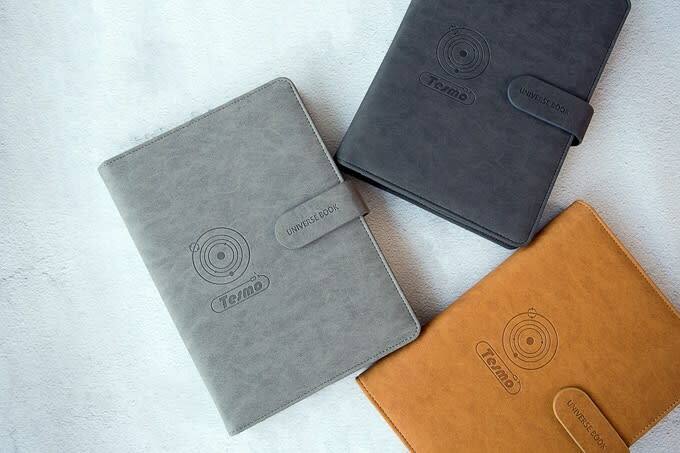 The premium material we choose makes it a durable notebook for long-term usage.